This 5 oz. cotton tote bag measures 13.8" x 11" and 100% Natural cotton processed AZO-Free, with no hazardous chemicals?comes in a variety of color options. Also we are good for customize the size you need at the lowest price, It will be competitive price. It's perfect for carrying groceries, books and other everyday essentials. Put your own custom design on this bag with a silkscreen imprint for maximum brand awareness. 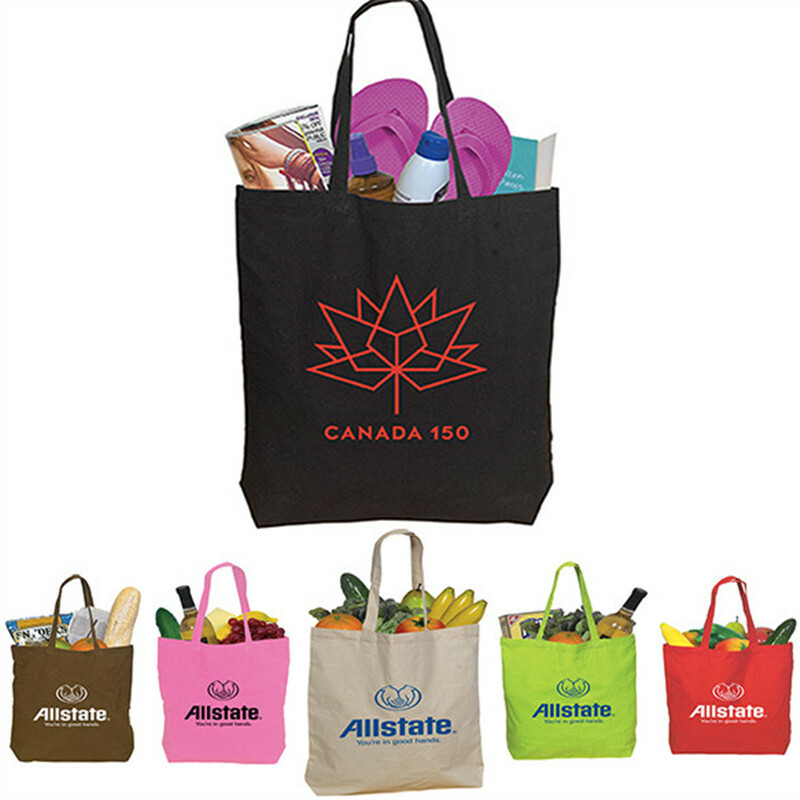 This simple cotton tote will make a great addition to your marketing campaign. Good idea to promot your brand. Package: 1 pc/opp bag, 300 pcs/ctn, 20 lbs/ctn. Imprint Size: 6" x 5"